Stellar sales at Park Place Residences at Paya Lebar Quarter (PLQ) over last weekend made the development at Paya Lebar one of the most successful new launch projects in recent years. On Saturday, 215 out of the 429 units at Park Place Residences at PLQ released under the Phase 1 sales and it was fully snapped up by the end of Saturday. This is the 3rd new launch project this year – after The Clement Canopy and Grandeur Park Residences. 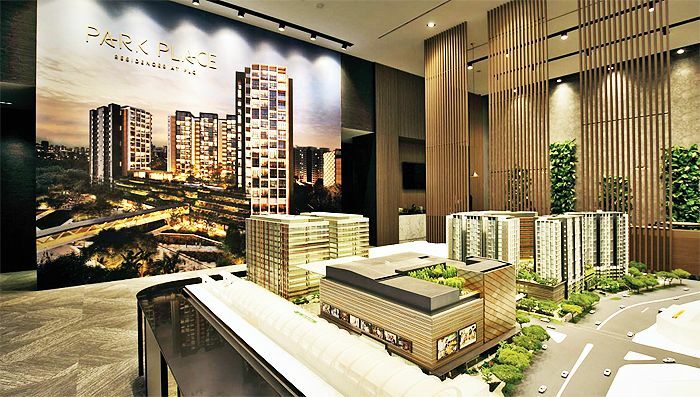 The official launch of the mega Paya Lebar project came in after the government’s easing of the property cooling measures earlier this month, and units at Park Place Residences were transacted from around $800,00 for a 1-bedroom unit to $2.1 million for a 3-bedroom premium unit. Under the new tweaks of the property cooling measures, the seller’s stamp duty rate has been revised by 4% lower on each tier and shortening the holding period. On top of that, the Total Debt Servicing Ratio (TDSR) will no longer be applicable to withdrawal loans for mortgage equities with a loan-to-value ratio not more than 50%. During the launch of Park Place Residences at PLQ, it was initially announced that only 40% of the entire development will be released for sale during Phase 1. However, developer Lendlease released another 10% due to the overwhelming response from buyers. Lendlease has mentioned that results from the Phase 1 sales have indicated that buyers are recognizing that Park Place Residences at PLQ as a top-end project with its strategic location in Paya Lebar Central, and the confidence in being the next district in Singapore with massive potential. As of now, the developer has closed its showflat and further details of the Phase 2 launch will be released at a later date this year.